Emotional abuse scars the soul. It does not matter if the abuse is physical, sexual (the effect is more than physical – deeply psychological), psychological or verbal. Abuse is no light matter. We should avoid contact with abusive people and never get into a relationship with one. Many adults who come from a home with at least one narcissistic parent have a distorted sense of self and have scars from abuse. They carry these hurts into their adult lives and future relationships. These people can be helped by developing a healthy sense of self. This has to be nurtured, and taught. Simply teaching them is not enough; a healthy self-esteem needs to be nurtured. However there is another group. One who do not want to be helped. This article is about recognising a partner in this group. Violence in the home is not something to be kept behind a closed door, no matter how embarrassing it may feel. The intimacy of a relationship is not to be confused with the partner’s abusive behavior. The abuser’s main tool that makes it possible to continue the abuse is silence. Remember, you are not alone. 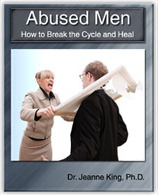 One woman in three and one man in four is abused in some way during their life. If you are in an emotionally abusive relationship, you need to speak to someone you trust, family or friend, and start a plan to get yourself out of the situation. If it has gone so far that you have lost contact with those you used to confide in, resume at least one of those relationships. A strong relationship with someone outside the abusive relationship is imperative. Do not try and deal with this on your own. If that support is not possible, for a woman find a women’s refuge. There you will be welcomed with understanding. 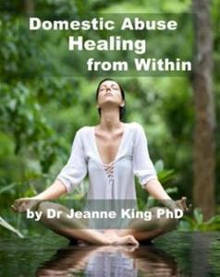 There are safe places to go for domestic violence help. Men’s refuges are scarce. 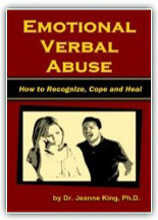 To help you to recognize an abusive character read in the abuser’s controlling mind.